It is hard to believe, but this is Aubrey’s last week in kindergarten. It seems like only yesterday that she skipped off to her first day of school, eyes shining, ready to make new friends. She’s got this school thing down, now, nine months later, and already considers herself a first grader. 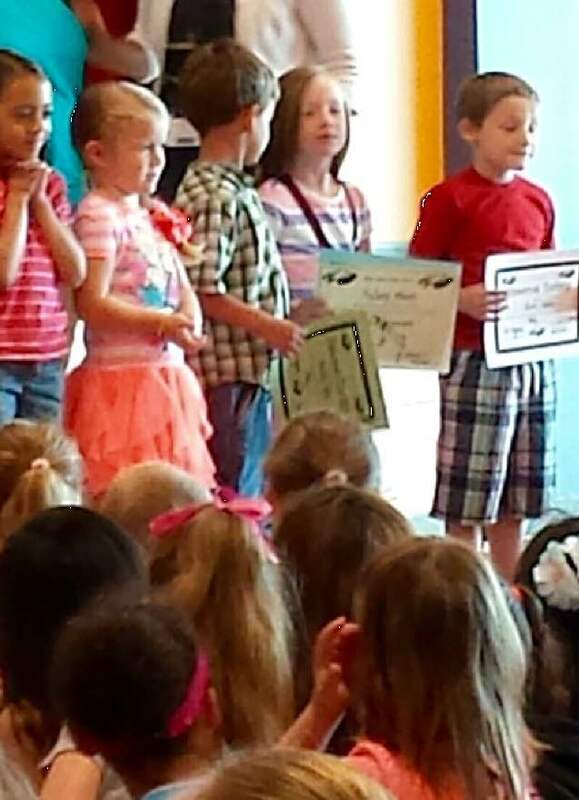 Today was the last SOAR assembly in her school. Aubrey picked up a SOAR certificate in February, for demonstrating the R in SOAR….Resolve conflict. 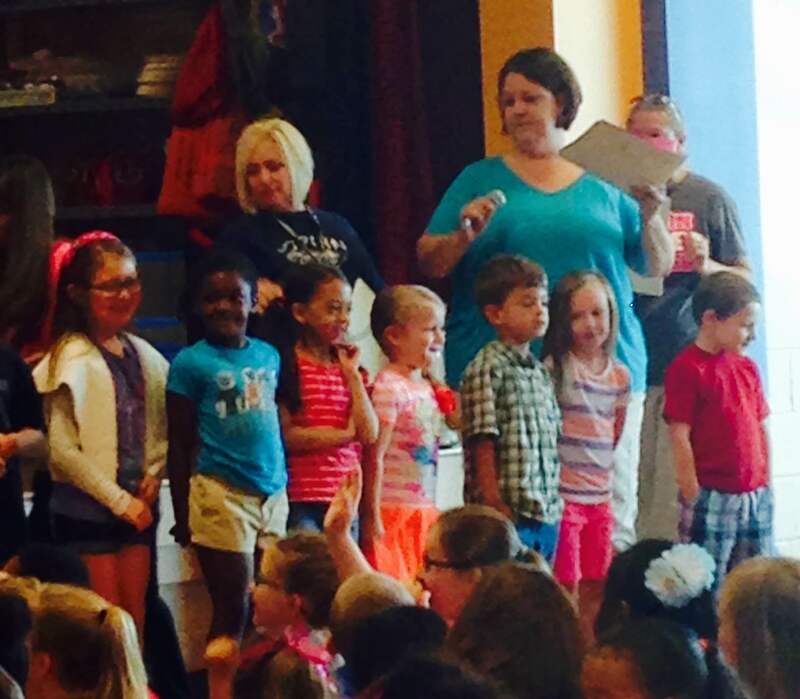 This morning, she received her second SOAR award, representing the A…Accept responsibility. The other letters stand for Show respect and Observe safety. Four children are selected from each kindergarten through second grade class at Aubrey’s school, the recipients chosen by the teachers. What a difference the second time makes. Aubrey wasn’t watching shyly from the door to the auditorium today. She looked relaxed and flashed her cheering section – her mom, little brother, dad, step-mom, Nana Beth, Papa Greg and me…big smiles frequently. 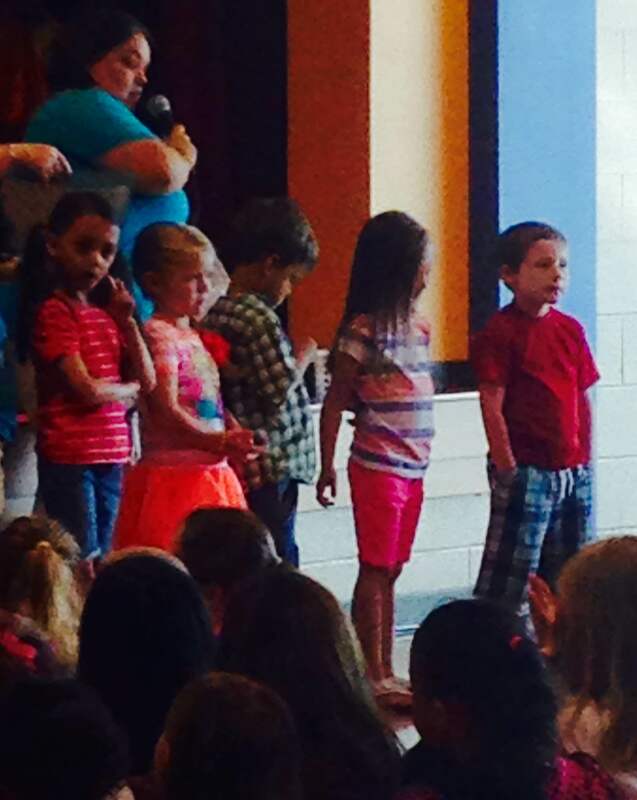 When she wasn’t throwing glances our way, she was chatting quietly with her classmates and fellow kindergarteners. Watching her at the front of the large room, her tall, slender form striking a natural pose, I thought about how much she has grown this year, academically, physically, emotionally, spiritually. I’m proud of how well she did in school, learning so many new things. However, I am even more thrilled with her social and communicative skills, her deepening intuition and her ability to see beyond, and with the kindness and love she shows toward family, friends…and people she’s just met at Chick-Fil-A. She is Aubrey….and I love how she inhabits her Aubrey space so fully. 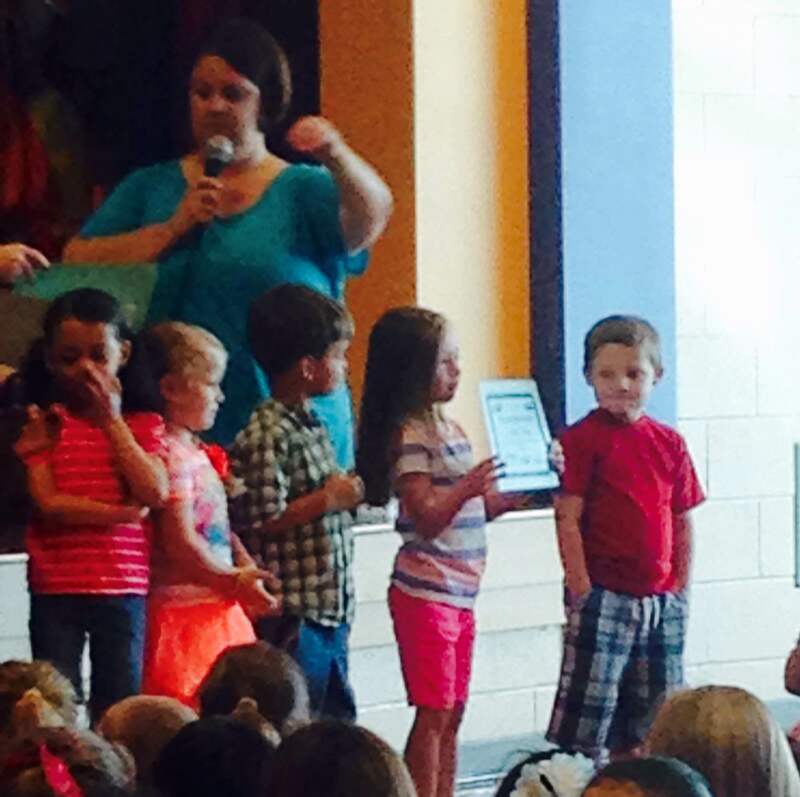 During the assembly, after each child in a class has received his or her SOAR award, the teacher of that class announces the winner of the Talon Award. This is a medal on a ribbon, given to the child. The winner is selected by the rest of the children in the class, by way of a vote. It is an honor to be noticed exhibiting great life skills by the teacher. It is a thrill to be selected for the Talon Award by friends and peers. This morning, I held my breath as my granddaughter’s teacher announced this month’s recipient from her class: Aubrey Moore. I clapped and whooped. The look of sheer delight on Aubrey’s face as the medal was slipped over her head was so beautiful. This friendly, helpful little girl will cherish her medal. I cherish her. Way to go Little Eagle.